Evolved Publishing presents the second novel in The Balderdash Saga, a series of lower grade fairytales with a slightly dark edge. After defeating Maleer, the people of Balderdash work to expand their kingdom by exploring the vast caverns in search of more graveyards. Although Hurlock and the shaman have adopted Kaylan, few in Balderdash trust the prince. Scarlet barely speaks to him, and Screech is the only one to show him affection. To escape the tension, Kaylan unofficially joins the Spelunkers, a group created by the shaman tasked with mapping the caverns. On one of his excursions, Kaylan is startled to hear a woman's scream. After locating the source, he watches from the shadows as two men chase her down, swords drawn. Kaylan realizes with horror that humans stand merely an hour's walk from Balderdash. He faces a critical decision. Should he run away to warn the rest of the underground kingdom about the human invaders in the caverns, or risk losing his life - and compromising the location of Balderdash - to save the woman? Be sure to also check out the first book in this series, The Underground Princess. I love the voices and how consistent they are. 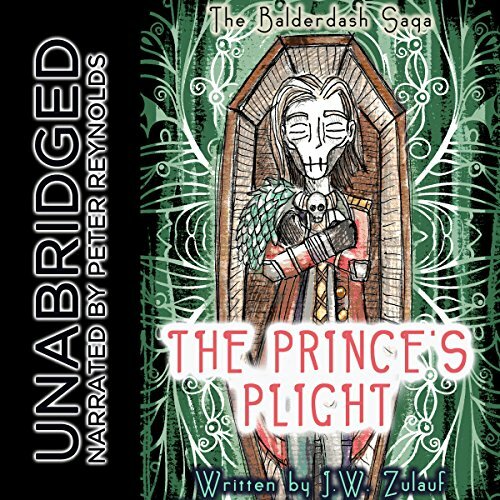 Audiobooks like this really spoil me against other books that don't have this range. Is there a 3rd? Hope so. Really looking forward to the third! This has been an awesome ride so far! Great narration. Love the voices.